CONS: Not the greatest dashboard design and layout. Data does not always fit on screen and sometimes not in data order. BOTTOM LINE: Highster Mobile is an excellent phone spy product to secretly monitor any mobile device through the app's simple navigation, useful instructions, and comprehensive suite of features. SUMMARY: Highster Mobile cell phone spy software allows parents to have the peace-of-mind that comes with knowing who and what their children are texting, watching, downloading, talking to, and doing. Employers can monitor employee company phone usage and ensure employee conduct is appropriately representing the business. What Does Highster Mobile Do? Highster Mobile enables parents and employers to monitor the cell phone activity of their children and employees, respectively. Through easy-to-use cell phone spy software, you can remotely access the target device from your own phone, tablet, or laptop and see texts, calls, GPS locations, photos and videos, browser history, emails, and all other information (including deleted items). 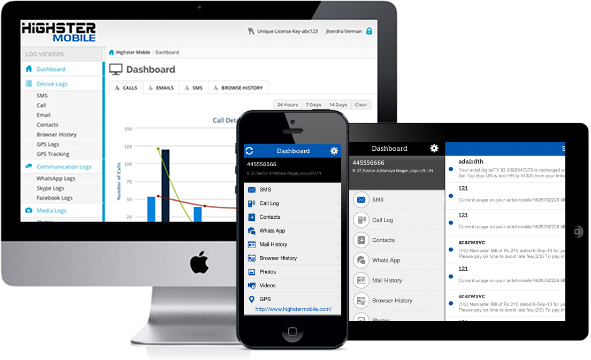 Highster Mobile’s cell phone monitoring software is only meant for legal cell phone spying. This product is to be used by parents who need to keep an eye on their minor children, and by employers whose employees have consented to remote monitoring of company-provided cell phones. The Highster Mobile app was surprisingly user-friendly and fairly priced. Unlike other cell phone spy software, this app doesn’t charge an annual fee or require expensive upgrades for full access. Testers only paid a one-time affordable fee to access the comprehensive suite of features. Additionally, no jailbreaking or rooting was necessary. Just two to three minutes of access to the target phone and everything was ready to go. Installation was quick, offered an uncomplicated main menu, and took up very little space (less than 2 MB!). The interface was easy to navigate, with simple “click next step” functionality. There were also detailed step-by-step instructions in case any issues were encountered along the way. Our testers also found that the app functioned just as conveniently on any device, from cell phones, to tablets, to laptops. The only con to using Highster Mobile cell phone monitoring software is that you need to physically access the target phone for a couple of minutes, and you need to know the user’s password (if they have one) to unlock and get into the phone. This is true for all cell phone spying apps, however, and at least Highster doesn’t require jailbreaking or rooting. The Highster Mobile app can be used by anyone of any experience level to legally monitor cell phone use. With its easy-to-use interface, simple download requirements, and low price, it is ideal for beginners and tech-savvy individuals alike. 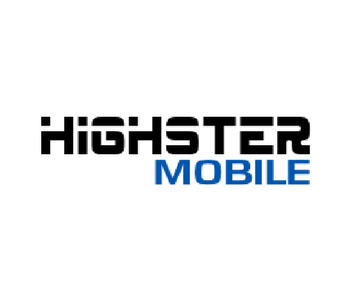 The Highster Mobile app is available for the low one-time price of $69.99. 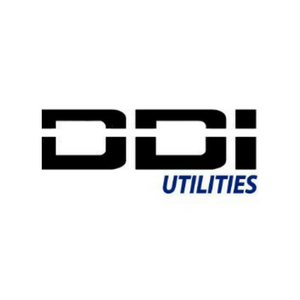 Users will never need to pay any additional upgrade or annual fees. To purchase or learn more about the software, visit Highster Mobile’s official website here. Highster Mobile earned our Silver Award for ranking #2 in the Cell Phone Spy Software review category!